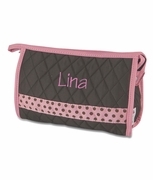 Personalized jute cosmetic bag. 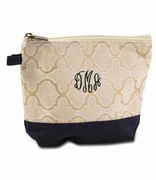 Go green and show your environmentally friendly style with a fabulous jute cosmetic bag. 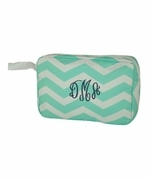 It makes the perfect travel companion and will keep your cosmetics grouped together in once place. The bag features three vertical stripes in a color-block pattern. The middle one is natural cream contrasting nicely with your choice of moss green, mustard or navy blue. 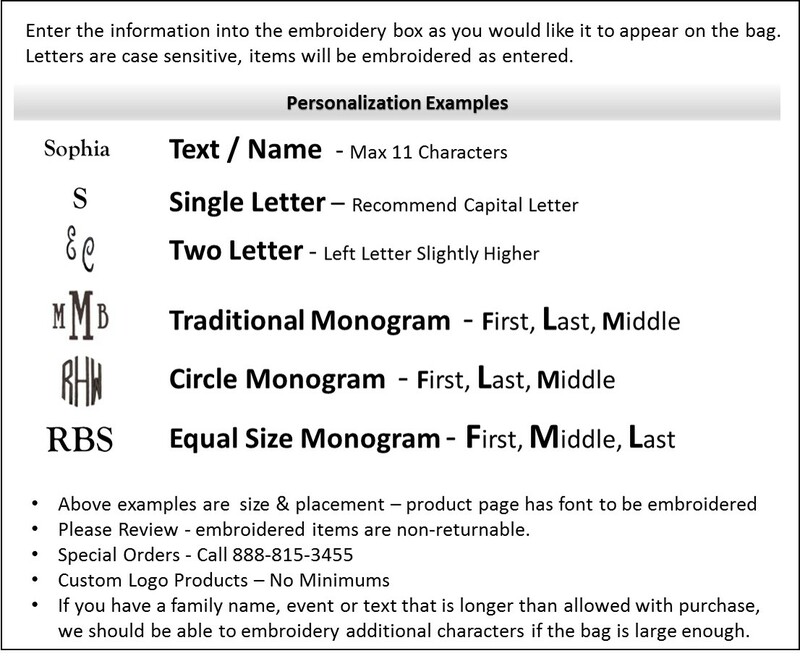 Your initials embroidered onto the bag will add a classy finishing touch. The square shape is large enough to hold all you need and compact enough to slip into a luggage bag or hand-carry bag. 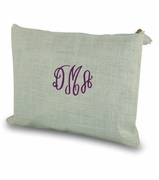 Personalized jute cosmetic bag measures 10"W x 9"H with an envelope bottom. Muslin fabric lining with a zipper closure.